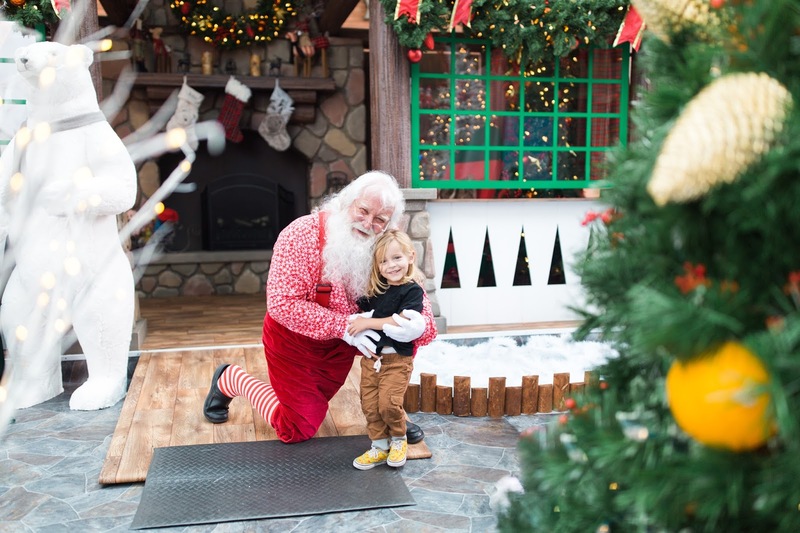 Uriah and I were invited by Stanford Shopping Center to visit with Santa last week and I couldn't think of a better way to kick off the holiday season. 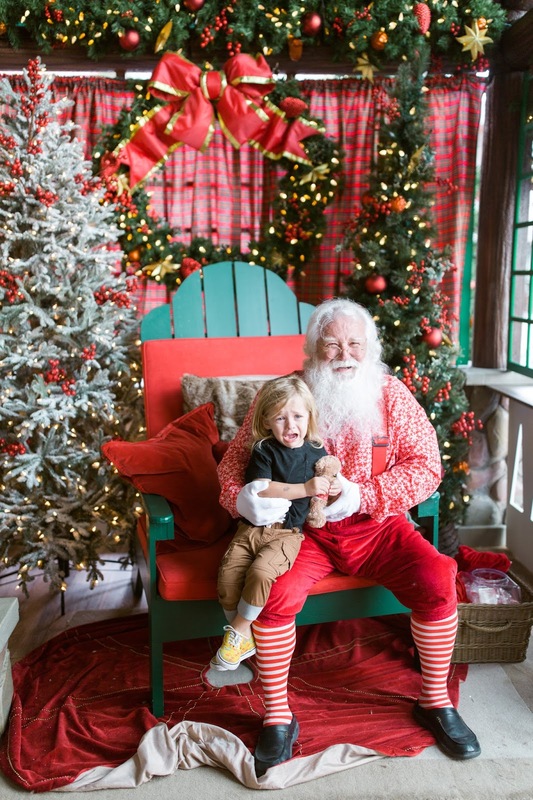 Especially since this year he has been talking non-stop about Santa! 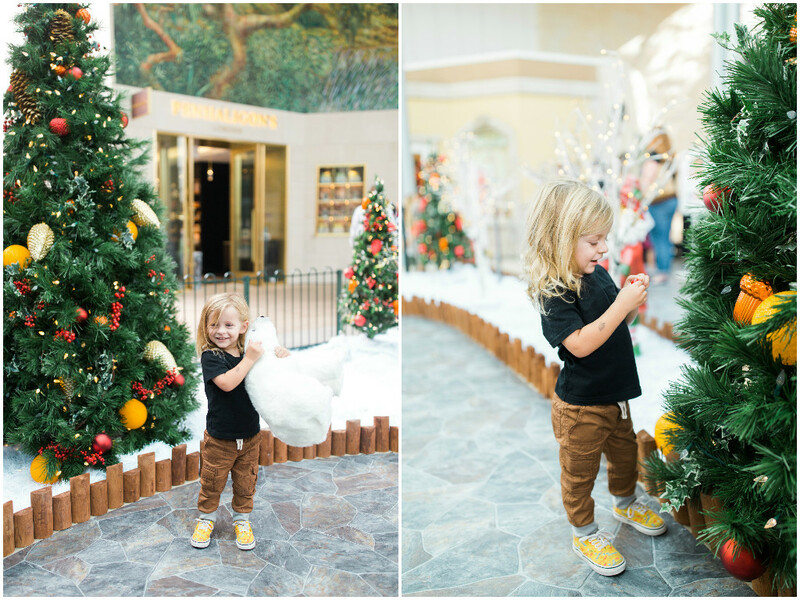 We followed the beautifully decorated trees to the center of the mall, where we found the cutest log cabin with Santa waiting inside for visitors. I loved the excitement that was building as we walked through the snowy walkway decorated with tall Christmas trees; Uriah was mesmerized by the sparkly lights and the giant glass balls decorating the trees. 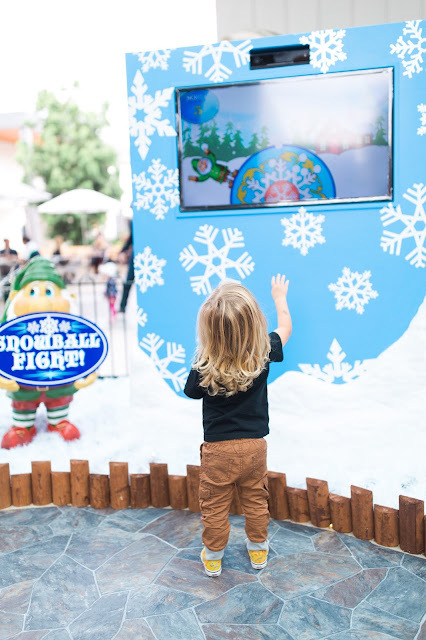 One of our favorite parts was the interactive games they had places in the area where you wait in line..especially "Snowball Fight" - you stand and throw fake snowballs to hit down all the elves. 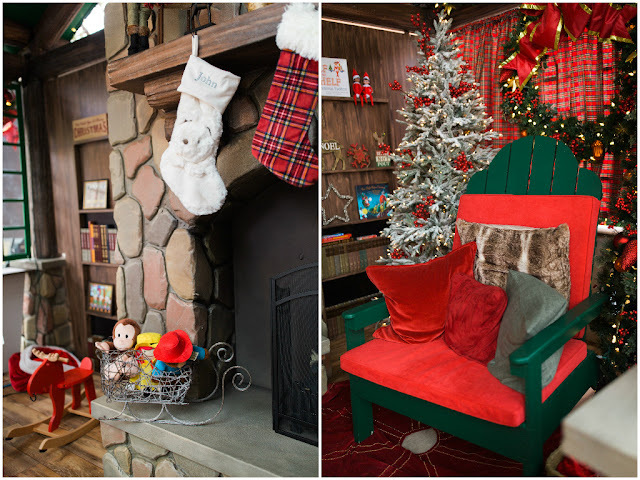 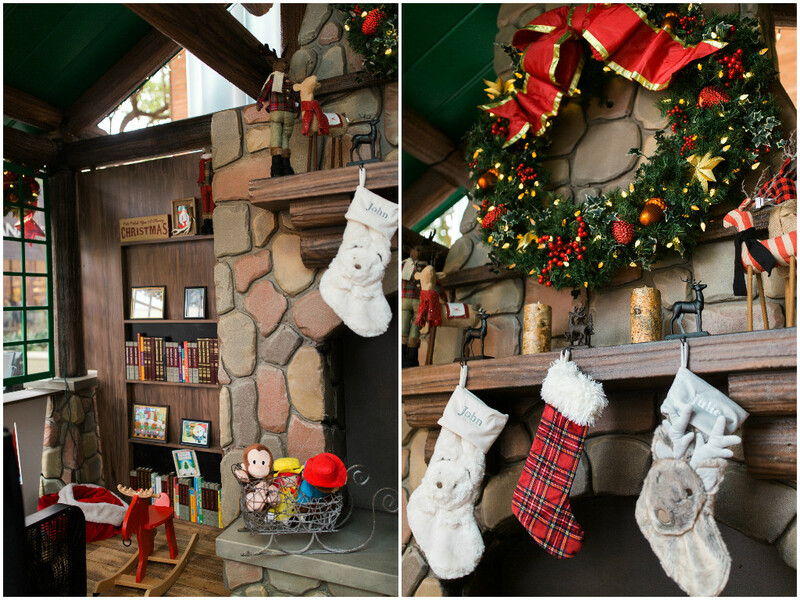 The games are perfectly placed to keep waiting children entertained and in the holiday spirit. 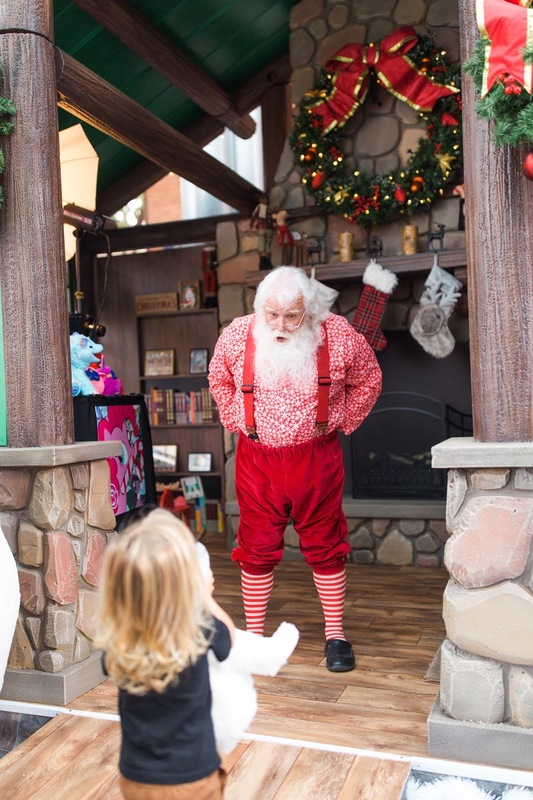 We made our way to the front where Santa came out to greet us and bring us into his cozy cabin for our picture. 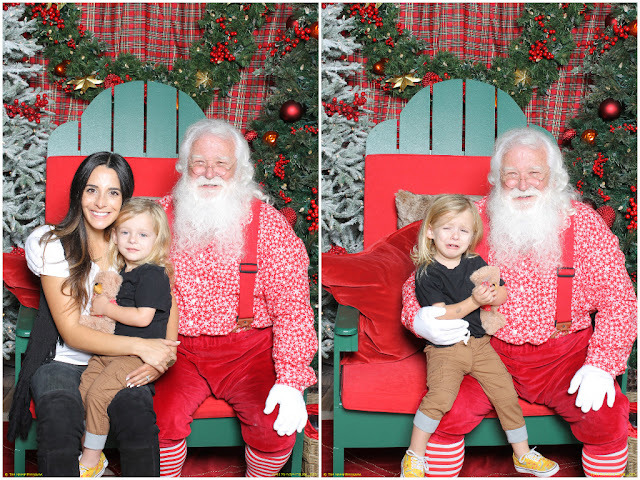 While Uriah was beyond excited, he still gets a little nervous sitting on Santa's lap, as you might be able to see from his (cute) sad face. 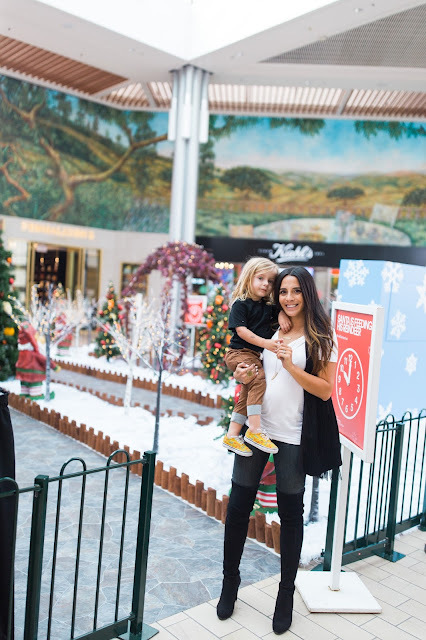 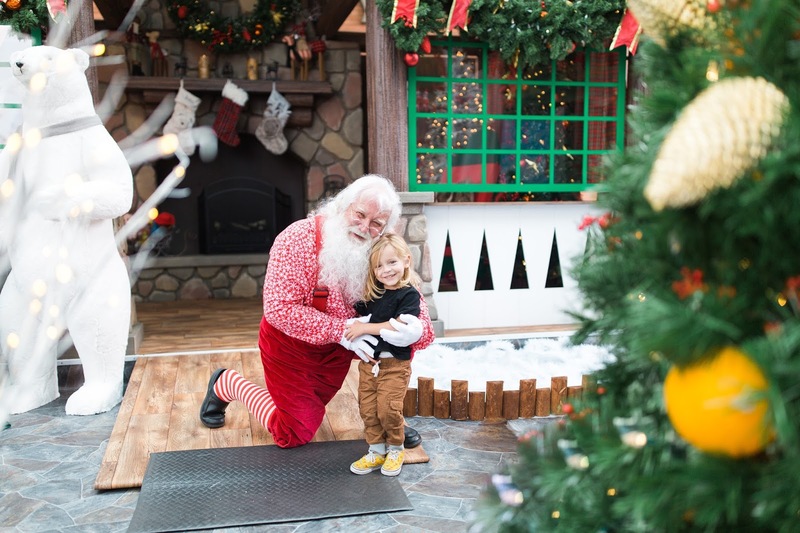 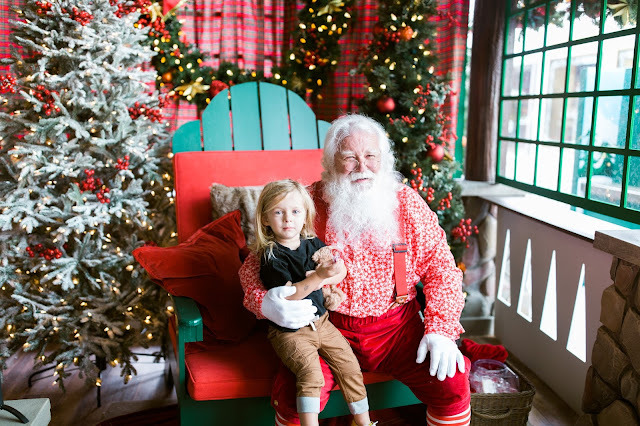 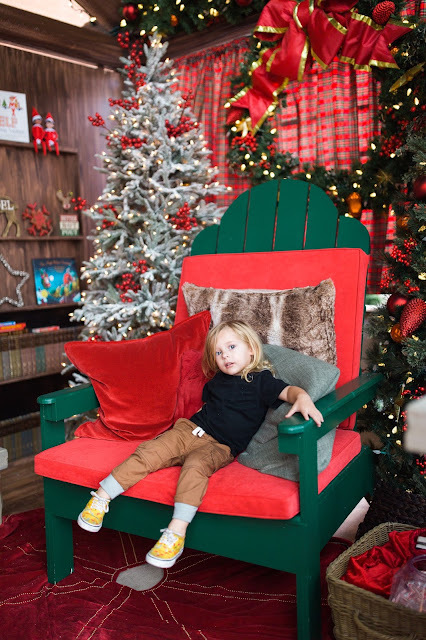 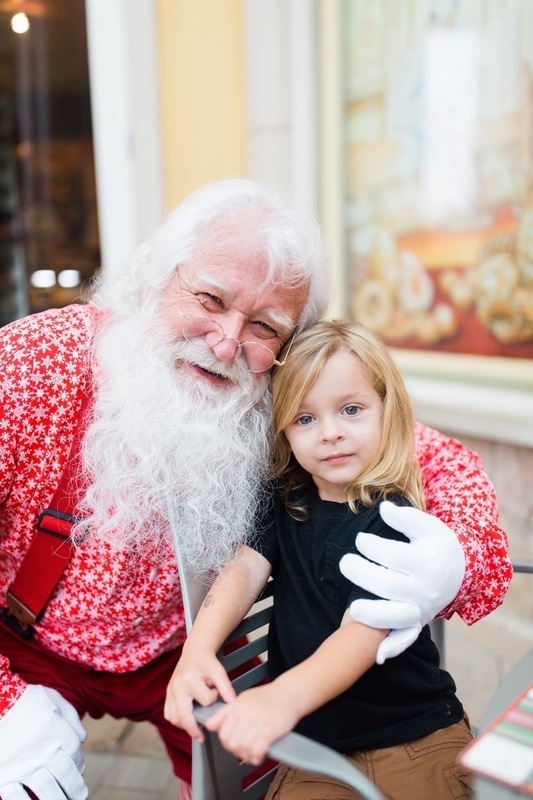 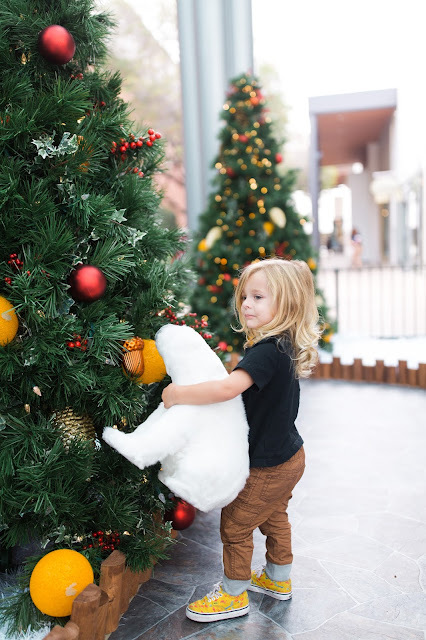 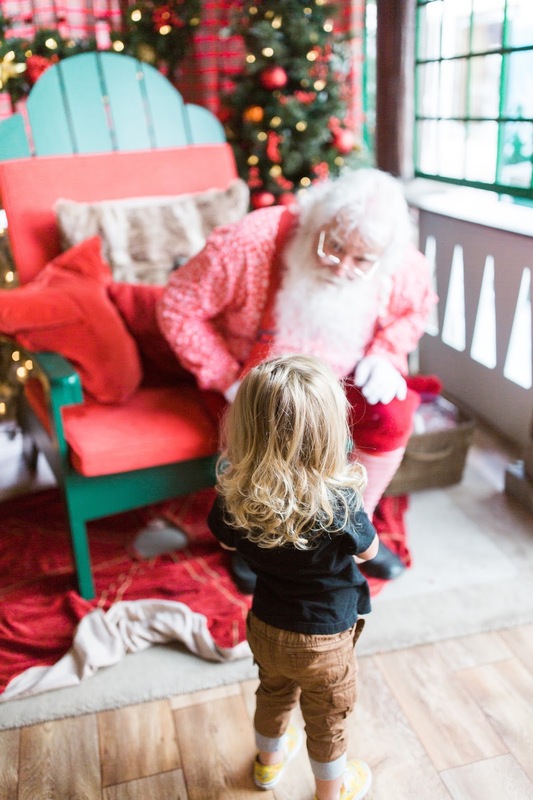 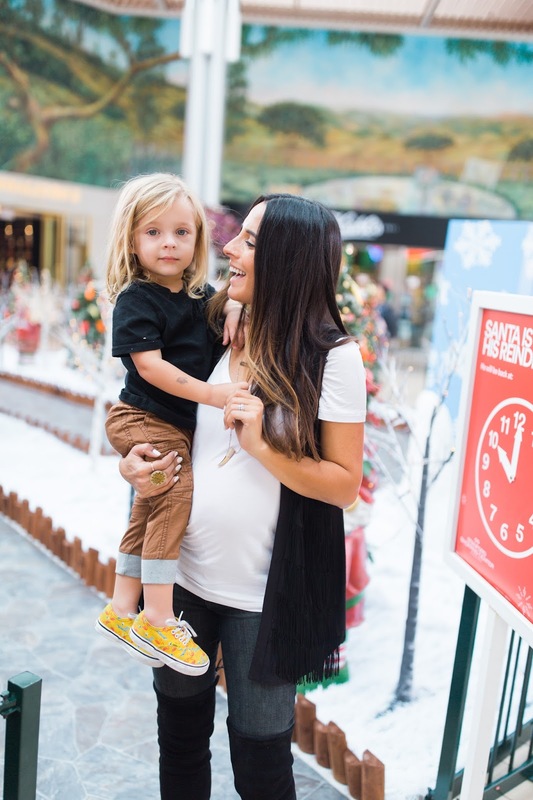 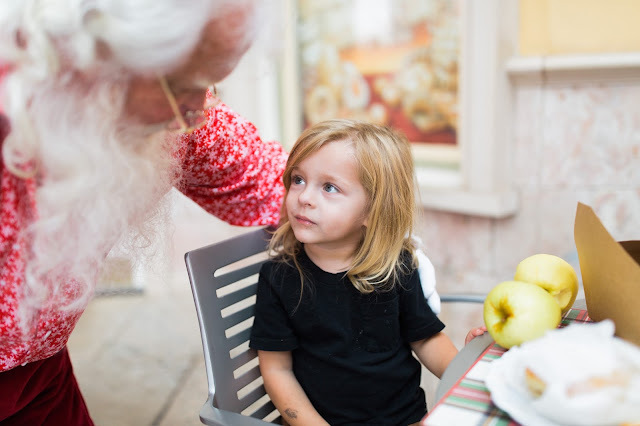 But don't let that little face fool you, he had a blast during his trip and we can't wait to make visiting Santa at The Stanford Shopping Center a new tradition for our Christmas season.